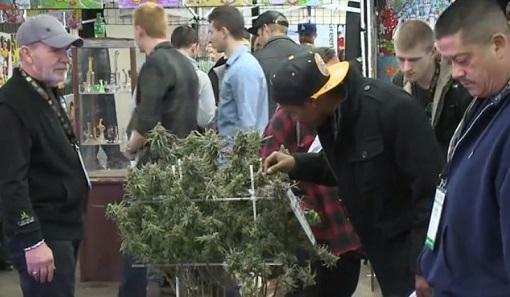 More than 5,000 people packed the Denver Mart this weekend for the Indo Expo's fifth cannabis trade show. The show has more than doubled in size since it first came to Denver. "It used to be a hometown show and now we’re seeing people from all over the world," Indo Expo creator Chris Olson said. Black Dog LED lights, a Colorado-based company, has been shining its lights at the expo since it started. It's also seen business expand exponentially.